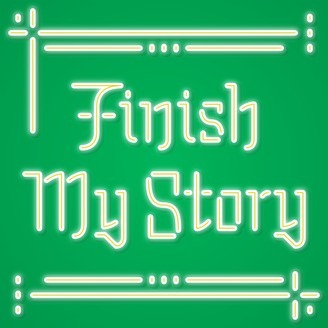 It’s Finish My Story - the weekly podcast where three people (attempt to) create narratively complex stories... one line at a time. 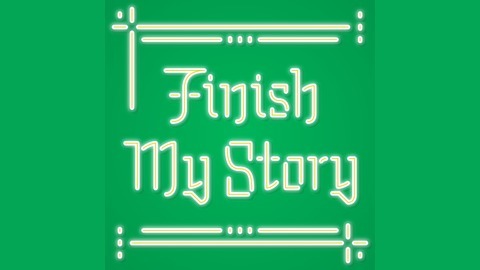 Stories are told! Fun is had! Mistakes are made! Hosted by Jonathan Monitz, Peter Osterweil, and Cameron Hope. WOW!! We're back! And so is Caroline O'Brien this week. It's Valentine's Day, can you believe it?? So we're telling a Valentine's Day story!! What's our first line gonna be from? We did Love Actually for Valentine's Day last year, so is it When Harry Met Sally? Romeo + Juliet?? TWILIGHT??? Nope! It's Jean-Claude Van Damme's first film, Bloodsport (listen to find out why). So we start with the first line of the muscles from Brussels premier film, and weave a tale of love, roommates, human sushi plates, and bad listeners. Don't you be a bad listener, and listen to it! !